Manchester United have moved to 5th place on the Premier League table following Sunday’s 1-0 win over Leicester City. The Red Devils visited the King Power stadium seriously in need of a win after drawing 2-2 with Burnley in midweek. 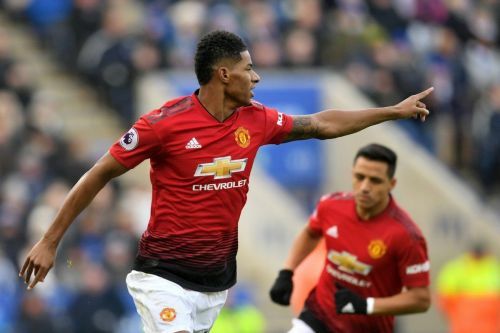 Ole Gunnar Solskjaer’s men wasted very little time to impose themselves on the game and rightfully took the lead through Marcus Rashford in the ninth minute. Playing his 100th Premier League game, the young English striker received a wonderful pass from Paul Pogba before firing in the opener for the Reds. However, Man United struggled to kick on from the goal, allowing Leicester City to crawl their way back into contention. The Foxes grew into the game in the second half and managed to create a couple of chances of their own. Although chances were few and far between both teams, David de Gea needed to produce a marvelous save to deny Ricardo from snatching the equalizer for the hosts. Despite a late onslaught from the Foxes, Man United held on to record a very important victory. The result is the Red Devils’ ninth win in 10 games since Solskjaer took over as caretaker manager. It also means the club has now leapfrogged Arsenal into 5th position, albeit temporarily. Meanwhile, Man United still remains two points below Chelsea who occupy fourth position on the Premier League log. Social media has been buzzing following Man United’s win over Leicester, but it appears must football fans are more concerned by the fact that the club has finally moved from 6th position. Despite not losing a game under Solskjaer, the Red Devils had remained static on the league table having fallen far behind their top four rivals under erstwhile manager Mourinho. However, that is now over and should Arsenal fail to win against Manchester City, then Man United will end the week in 5th position. Man united fans praise thy lord!!!!! Under Mourinho 1-0 is forbidden.